Neither side were able to find the back of the net as Watford and Burnley played out an underwhelming 0-0 draw at Vicarage Road. It proved to be a half of mixed fortunes with both sides enjoying spells of dominance. After a superb opening 10 minutes from Watford it was then Burnley who went on the front foot in search of an opening goal. Ashley Barnes had three golden opportunities, but had one denied by Ben Foster and couldn't direct his other two efforts on target from close range. After going into the break goalless, it was the visitors who began the better of the two sides in the second half, with Dwight McNeil somehow managing to fire over the bar with a powerful volley from six yards out. The game then began to filter out with neither team really looking threatening to grab a winning goal, and that's how it remained for the rest of the game. 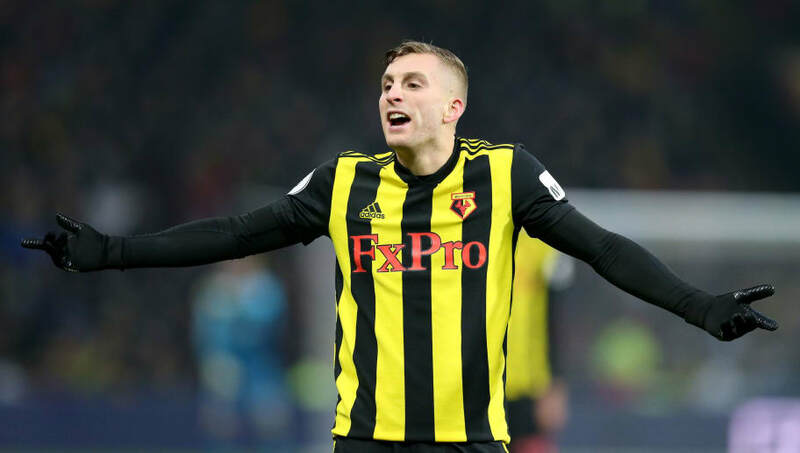 Javi Gracia certainly would've fancied his side's chances heading into the game with ​Watford having won both of their previous games, however will feel like his side missed out on a real opportunity to close the gap on the ​Premier League's top six. After a bright opening 10 minutes to the game, the Hornets soon found themselves on the back foot and were made to absorb a large spell of ​Burnley pressure which they dealt with well. They kept the visitors at bay and just about managed to deal with what came their way, however had Burnley been more clinical Watford could have lost the game. Instead they held on for a point - not the worst result, but Gracia will be far from pleased with his side's performance on the day. Starting XI: Foster (8*); Femenia (8), Kabasele (6), Mariappa (7), Holebas (7); Cleverley (6), Capoue (7); Sema (5), Pereyra (6); Deulofeu (6), Deeney (7). Substitutes: Success (6), Britos (6). STAR MAN - On a day when there were many underwhelming performances, Watford will have Foster to thank for getting a point out of the game. He kept Burnley at bay on a number of occasions with saves we've become accustomed to seeing from the Englishman this season. He can certainly hold his head up high after what was another impressive performance between the sticks. WORST PLAYER - It was a disappointing day for Ken Sema. He's done well enough in recent weeks to earn himself a place in Gracia's starting lineup, however he would've done himself no favours today as he failed to ever get involved in the game. Sorry but Sema is really bad, lousy first touch. He didn't manage a shot on target and with his side in need of some inspiration was sacrificed by his manager as he was subbed off just 10 minutes into the second half. A day he'll certainly want to forget in a hurry. After weathering an early storm, Burnley looked very comfortable throughout the game. Considering the fact they secured a 2-1 win over Fulham in their last game without managing a single shot on target, they looked a lot more threatening on Saturday, with Ashley Barnes squandering a number of golden opportunities. It wasn't just going forward where they were strong, they put in a very strong defensive display and kept the likes of Troy Deeney and Gerard Deulofeu quiet in front of goal for the majority of the game. There will be a feeling of what could've been from the travelling fans which their side lacking a clinical edge on the day, however they'll be pleased with the point and the team's performance. Starting XI: Heaton (8); Bardsley (6), Tarkowski (8*), Mee (7), Taylor (6); Hendrick (6), Cork (7), Westwood (7), McNeil (6); Wood (6), Barnes (5). STAR MAN - On a day where the defences stole the show, James Tarkowski had a brilliant game. He dealt with everything that was thrown at him early on after a positive start from the hosts, and then was able to see the rest of the game out with comfortable ease. He'll be delighted with his performance on the day, with Burnley extending their unbeaten run to five games largely thanks to him. WORST PLAYER - It just wasn't Barnes' day. He created plenty of chances for his side and should've done better on every occasion, but he just couldn't find the back of the net. On another day it could've been a different story and he could even have grabbed a hat-trick, but instead it'll go down as an afternoon he'll want to forget. After the draw, Watford will be looking for a much better performance when travel to St James' Park to face ​Newcastle in the FA Cup on Saturday, whilst Burnley will want to find a more clinical edge to their game when they take on a high-flying ​Manchester City side at the Etihad Stadium in the FA Cup on Saturday.